Global men formal shoe market is estimated to grow at a CAGR of 6.2% from 2016 to 2022, to reach $9,881 million by 2022. Formal shoes are provided with more attention than the casual shoes as they are worn in offices and also at social occasions. They can be black or brown shoes used in formal meetings, dance floors, dress code parties, special occasions, and as standard daily shoes. The global men formal shoe market is segmented based on shoe type, leather type, and geography. On the basis of shoe type, the market is classified into consumer oxfords, derby, loafers, boots, and others. On the basis of leather type, the market is categorized into patent leather, pebble & full grain, top grain, and suede leather. Further on the basis of Geography, the market is classified into, North America (U.S., Canada, and Mexico), Europe (Italy, Germany, France, UK, Spain and Rest of Europe), Asia-Pacific (China, India, Japan, Malaysia), and LAMEA (Latin America, Middle East, and Africa). Innovations in Design and Features keep the Market Future Bright. Men formal shoes or dress shoes are the premium products occupying a significant share in the global market for footwear. In addition, rising commercialization and demand for branded footwear drive the men formal shoe market growth with innovations that result into unique look, better finish, and durability. Individuals are adopting new trends with higher demand in shoes such as shoe types, designs, grain, and shoe cuts which drives the market with new and established brands. 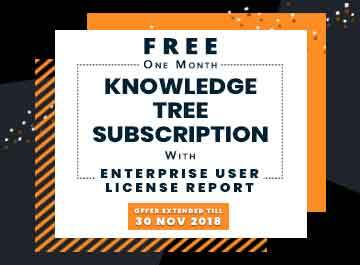 The estimation of global market is based on revenue generated by the sale of footwear across different geographic regions which is maximum with respect to Europe and North America and fastest in case of Asia-Pacific. Various footwear enterprises initiated to devote great efforts to enhance their technological and innovation capability in an attempt to stay competitive and increase specialized production leading to more applications owing to new technology, materials, and processes. In Asia Pacific, the men formal shoe market is significantly facilitated by the growing demand in emerging economies such as India and China. The rapid urbanization and increased demand for western brands witnessed all across Asia Pacific providing opportunities for international footwear brands. Also, a surge in adoption of online shopping among customers of Asia-Pacific boosted prospects for online sales of footwear in the region. Main export destinations include China and Vietnam to which exports increased by60% and 20% in 2014. China remained the largest supplier of footwear to the U.S., accounting for 62 % of total imports in 2015, with a decrease from 66 % in 2014. In contrast, the respective shares of lower-cost suppliers such as Vietnam, Indonesia, and India, increased in 2015. Increasing Disposal income among Developing Economies and Increased Spending on Apparels, Running the Market. Rapid growth and rising urbanization have spawned ample of consumers with more expenditure in the market and an urge for fashion. Significant new growth opportunities for foreign and domestic players are observed owing to high-growth and fast-changing retail clothing market of India. For men, shoes are categorized into: semi-formal, work, and special occasion footwear. Increase in globalization and westernization of Asia-Pacific region, men are more concerned of sophisticated combinations for their outfits as a result of disposable income. India, Malaysia, and Singapore together with China are emerging as the major markets both in terms of consumption and production. Present scenario suggests that consumers globally spend an average of 5-6 % of their total income on apparels, however, this figure is significantly higher in emerging markets. The report provides a quantitative analysis of the current men formal shoe market trends, estimations, and dynamics of the market size from 2014 to 2022 to identify the prevailing market opportunities. The key countries in all the major regions are mapped based on their market share. Porter’s five forces analysis highlights the potency of buyers and suppliers to enable stakeholders to make profit-oriented business decisions and strengthen their supplier&dash;buyer network. In-depth analysis and the men formal shoe market size and segmentation assists in determining the prevailing market opportunities. Major countries in each region are mapped according to their revenue contribution to the global men formal shoe industry. Market player positioning segment facilitates benchmarking and provides a clear understanding of the present position of market players. The report includes revenue generated from the sales of men formal shoe and men formal shoe market forecast across North America, Europe, Asia-Pacific, and LAMEA. The report includes the men formal shoe market analysis at regional as well as the global level, key players, market segments, application areas, and growth strategies. 7.1 C & J. Clark international ltd. Formal shoes are footwear worn with smart casuals at formal occasions such as weddings, office, or business meetings. There are a number of types of men’s formal shoes in the market which are mainly categorized by their fastening, and the leather type used in the shoe outers, lining, and sole. The global men formal shoe market is driven by trendsetting product launches and customer-friendly innovations in the footwear industry, better shoe performance, and durability. Increase in disposable income and convergence of millennials and baby boomers towards new designs and high-end shoe brands have fueled the market growth. In addition, the demand for comfortable and designer footwear choices have boosted the market growth. Increase in consumer spending, worldwide, has driven the market. Shoes, such as loafers are lace-less and look timeless, are available in suede leather. Formal shoes nowadays gaining market because they are extremely comfortable and at the same time looks ultra-fashionable for a refined man’s taste. Present day formal shoes can be can be paired up to have a casual look such as with a casual trousers, jeans and sweatshirts, and not just limited to business styled shirts. Boots are available in a wide range of colors and styles, and can be matched with a leather jacket or overcoat. Low heeled brogues and the classy Oxfords are in trend. Derby shoes are less formal than the oxford ones, and are characterized by an opened lace system. Brogues and oxfords have been gaining widespread popularity at workplaces, owing to the soft textures and vibrant prints within solid materials. People opt for monk strap shoes to complete their formal ensembles. Monk strap shoes are characterized by their unique fastening system of two leather straps with a metal buckle finish. North America, Europe, and Asia- Pacific have some of the most celebrated fashion brands in the world. Hence, the men formal shoe industry segment is expected to flourish in these regions. 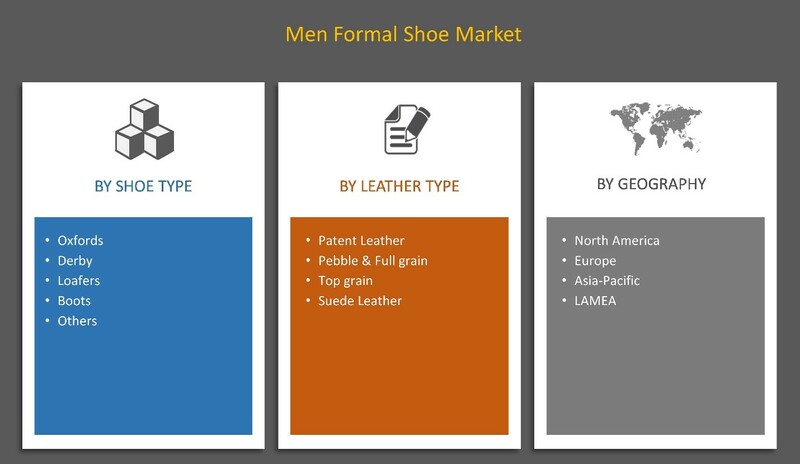 The global men formal shoe market is one of the most promising segments of the apparel industry, owing to the growing demand for trendy footwear. Europe has the maximum market share in men formal shoe market with Asia-Pacific (APAC) emerging as the fastest-growing region during the last five years, particularly China which is a major exporter of formal shoes to Europe and North America. With China getting costlier with higher salaries to employees, increased labor cost, and costs of materials, the opportunities for suppliers from other developing countries such as India and Vietnam, have increased. The European men formal shoes market footwear market is expected to grow further in the coming years.